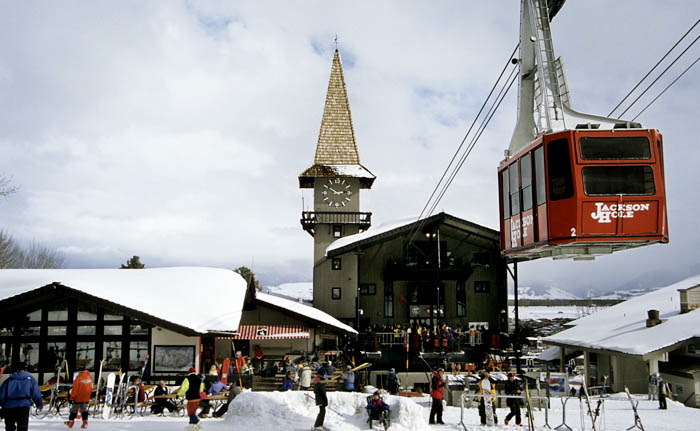 Tram base area, Teton Village - Jackson Hole Resort Jackson Wyoming. Cafe and tram tower clock in background. Tram car begins accent to the peak of Rendezvous Mountain.